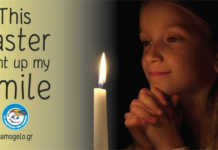 What higher praise can you receive than the compliments of an ambassador and a priest? “A key part of the Embassy’s work in Greece is to build bridges for economic investment and cooperation between the United States and Greece. 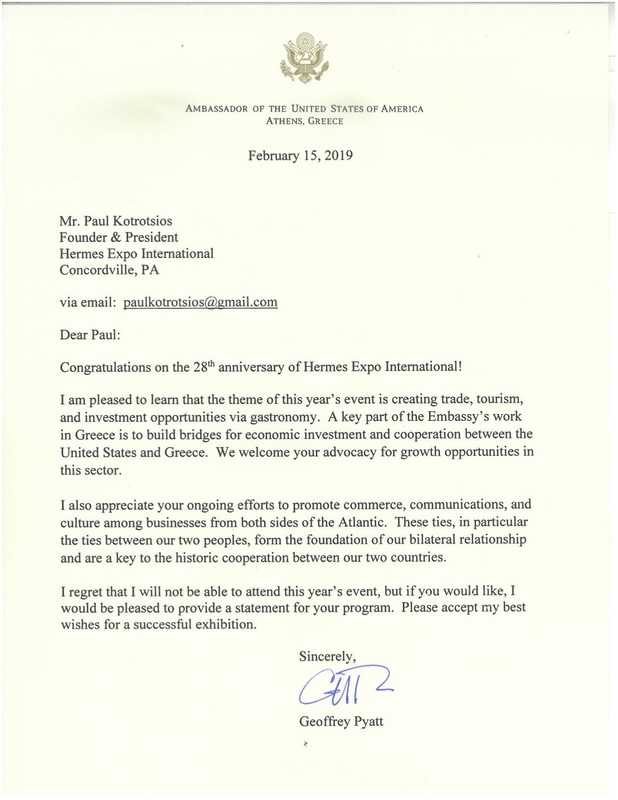 We welcome your advocacy for growth opportunities in this sector.” Ambassador Pyatt also appreciated ongoing efforts to promote commerce, communications and culture for businesses from both sides of the Atlantic. The Very Rev. Bitziadis-Bowers is one of the honorees at this year’s Expo awards dinner in Philadelphia. He expressed “much joy and honor” over his invitation to attend the Awards Dinner on April 10 and to be selected as one of the award recipients. Renovations are planned at St. George Cathedral that includes restoration of the cathedral building and rectory, development of new facilities around the cathedral and development of new senior housing on Darien Street. 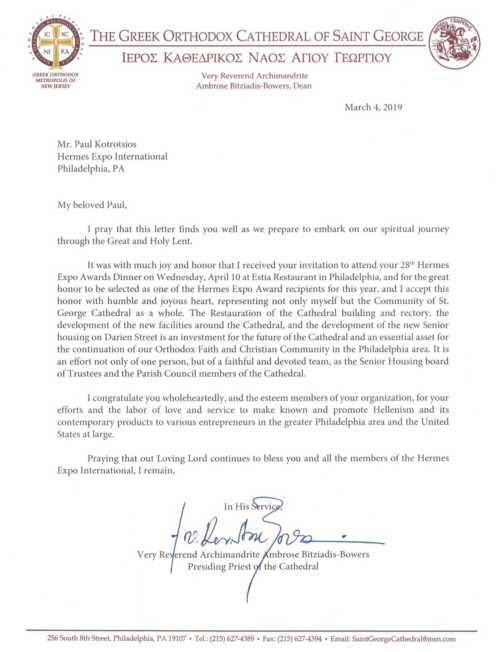 “I congratulate you wholeheartedly, and the esteemed members of your organization, for your efforts and the labor of love and service to make known and promote Hellenism and its contemporary products to various entrepreneurs in the Greater Philadelphia area and the United States at large,” he wrote. He appreciates that a lot of the younger crowd is showing up at the Expo. One of those younger visitors last year was Martina Kallontzi, a Greek exchange student attending Rutgers University. “It’s an opportunity for all of us to mingle and meet people that we wouldn’t have had the opportunity to meet if we weren’t here,” she said. 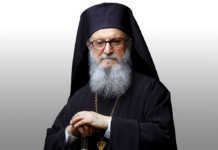 “It’s a chance for all Greeks to be together. Aphrodite Kotrotsios, the publisher of the Hellenic News of America, interviewing Sal Ritorto. 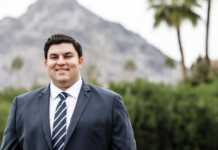 Sal Ritorto, an Expo panelist this year and vice president of Greencrown Energy, was grateful to connect with current customers at the Expo and speak with new prospects. “I’d say the most valuable part of the Expo is networking with the vendors. 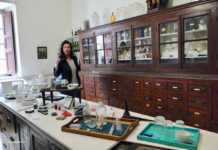 We’ve kind of formed our own micro-community as far as networking goes so it’s very good,” he said. For Sokratis Ballas, spokesperson for Megos Yeeros and a panelist this year, the Expo is familiar ground. This will be his fourth year. “You meet an amazing array of people,” experts from foods to financials. “It’s really a broad range and it really unites and brings everybody together,” he said. Andreas Kelemidis, founder of Oinos Wine Imports, LLC in New York City, exhibited for the first time at the Expo last year and found a new market for his imported Greek wines. This year, he’s exhibiting and serving as a panelist. “People, they are hungry. They want to learn. They want to taste. They love Greek wines,” he said. Stationed in New York, he wants to bring his wines south to Pennsylvania and Baltimore. The Expo’s location was just the right spot to exhibit. “I was delighted by the response,” he said. “I had a great time and I believed it worked really, really well,” he said of his success at last year’s Expo. The ever-expanding Expo has now found a home in Washington, D.C., joining Philadelphia and New York as trade route destinations. 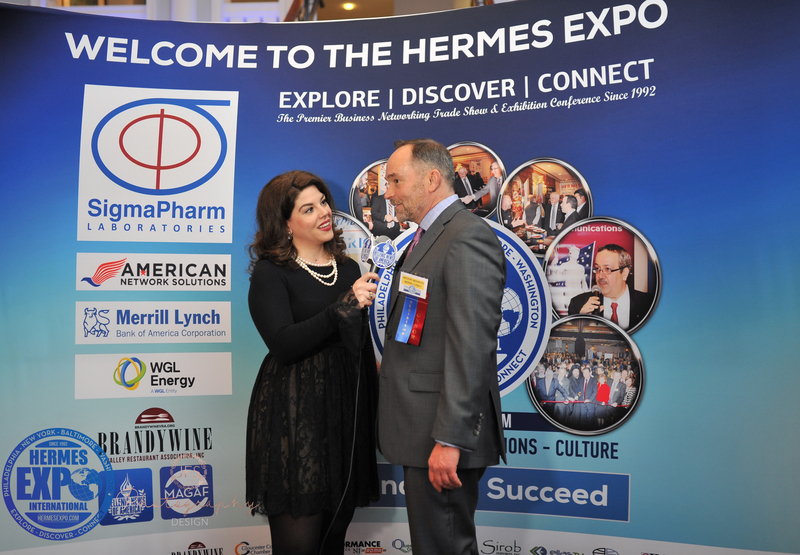 The 28th Hermes Expo International begins Monday, April 8, at the Capital Hilton Hotel in Washington, moves to Center City Philadelphia on Wednesday, April 10, at the Arts Ballroom and brings its grand finale, “A Taste of Hellas” to the 3 West Club in New York on Thursday, April 11. More than 50 exhibitors will have booths at each of the three locations. 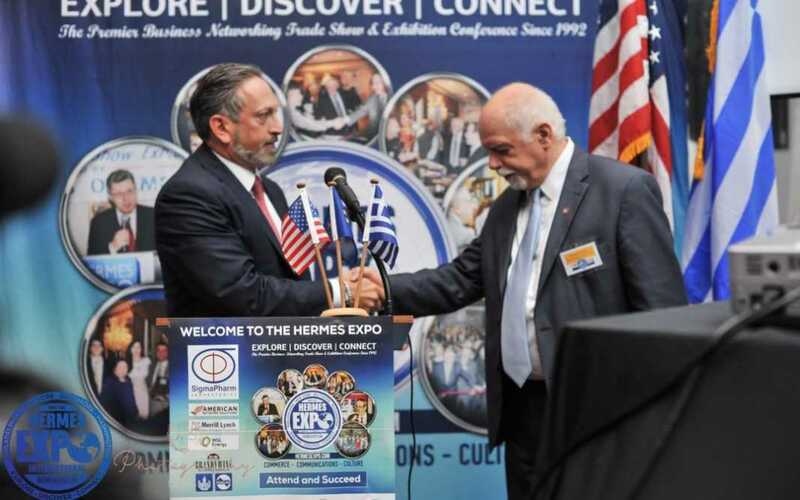 Looking ahead, the Expo will continue to grow beyond its original goal of providing investment and networking opportunities for the global Hellenic communities as it expands to other ethnic groups. 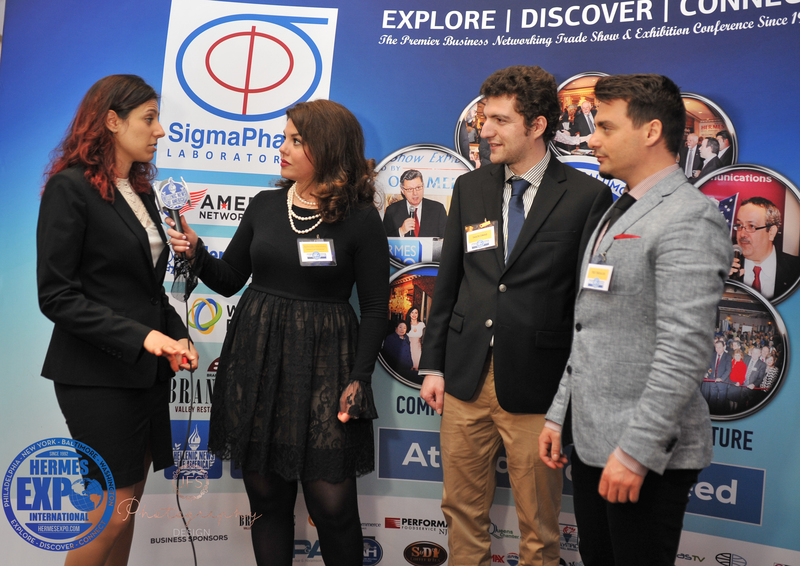 “The Hermes Expo serves as a bridge to the United States marketplace and abroad,” the Expo website notes. For more details about the Expo, B2B meetings and related events, visit www.hermesexpo.com.